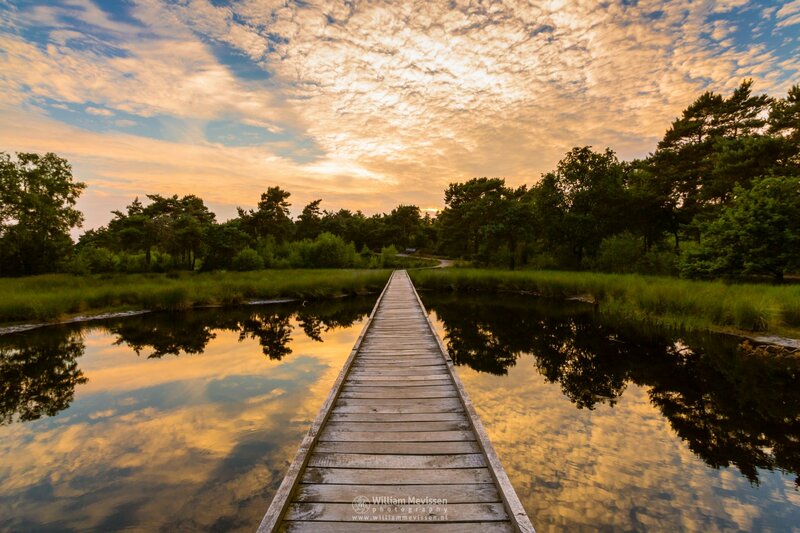 Walkway Reflections during a cloudy sunset on the trail around lake Het Eendenmeer, De Maasduinen National Park (Bergen, Netherlands). Click here for more information about photo 'Walkway Reflections'. Sunset Clouds at Het Eendenmeer, De Maasduinen National Park (Bergen, Netherlands). Click here for more information about photo 'Sunset Clouds'. 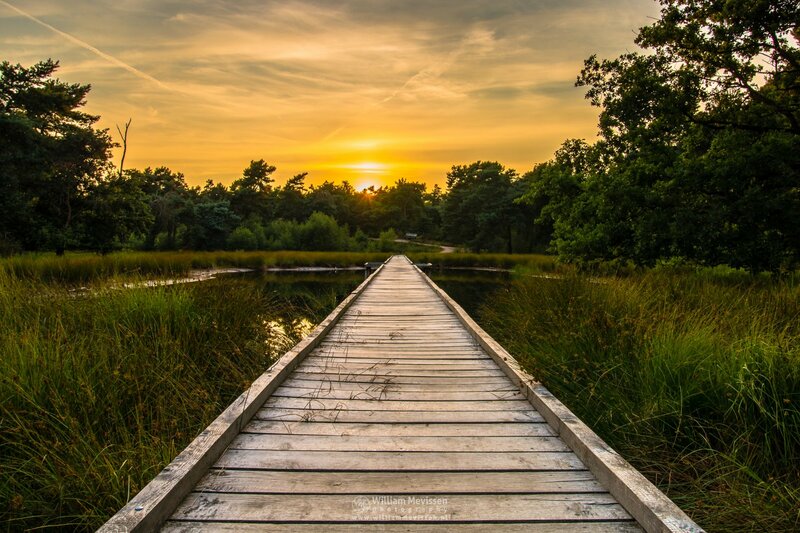 Sunset Walkway on the trail around lake Het Eendenmeer, De Maasduinen National Park (Bergen, Netherlands). Click here for more information about photo 'Sunset Walkway'. 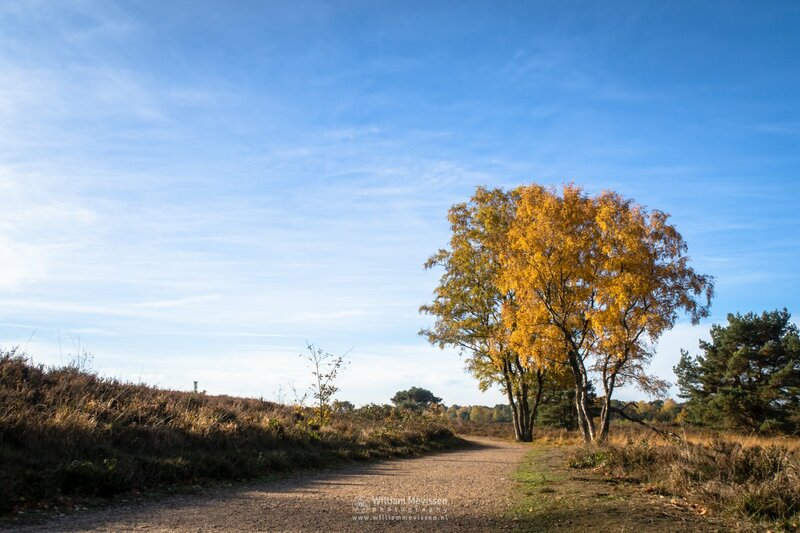 The fen Eendenmeer part of National Park De Maasduinen is a beautiful wetland area with shifting sand areas and heathland surrounded by forests. 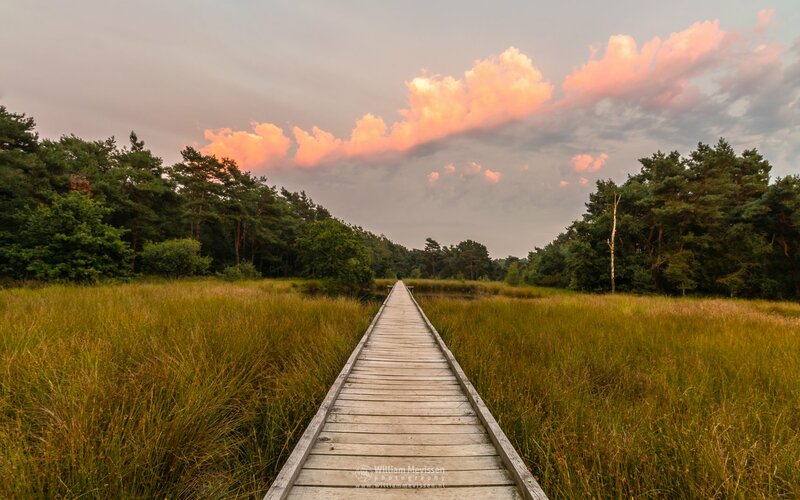 Around the fen Eendenmeer is a 3 kilometer long walking route on a paved path and a 135 meter long boardwalk.